Coverage depends on several factors, including facts of a case and the insurer’s policy language. 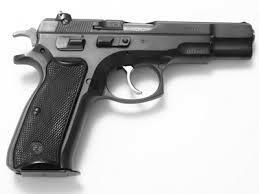 One of your insureds has bought a hand gun, taken a gun safety course and obtained a concealed weapon permit. She wants to know how her homeowners and umbrella policies would respond if she used the weapon in self-defense to protect herself, her family or their possessions from an assailant. Several other insureds, having seen the discussions on TV news programs about proposed state and national legislation to require “gun insurance,” have contacted the agency to ask about what they might need to do. How do you advise them? b. Is sustained by a different person, entity, real or personal property, than initially expected or intended. What constitutes “reasonable” force? That can’t be answered until the occurrence takes place and the facts are known, so it’s impossible to say absolutely whether the policy would respond to a claim where a gun was used in self-defense. Since facts are ultimately decided by juries in the case of litigation that goes to trial, it’s likely the insurer would be obligated under this language to tender a defense. However, what may or may not be covered will depend on the unique facts and circumstances of each case, so all you can do is point to this policy provision with the caveat that other exclusions might be triggered as well. If the “self-defense” exception above isn’t included in the “intentional loss” exclusion in the subject policy—and it’s often not in older ISO or proprietary company forms—then it probably doesn’t matter whether it’s in self-defense. If you shoot someone deliberately, for whatever reason, that’s an intentional loss and likely excluded under such policies. A possible exception to that could be if there was no intent or expectation of serious injury or death—but even that would be a real stretch. As for umbrella or excess policies, it all depends on the precise language of the form, which can vary dramatically from one insurer to another. And be wary of any standalone “gun liability” policies. Many of them may be so restrictive that very little coverage is actually provided.